Despite the hyper-aggressive luxurification of city centres across Britain, the sprouting of built-for-Bateman condominiums and the mass closures of much-loved venues, UK clubland continues to extend a middle finger to the shadowy forces that conspire to shut it down. Soulless and deathly as it is, redevelopment inadvertently feeds into the fertilisation of UK nightlife by instigating necessary changes of scenery. Clubs are shut down, so scenes open up elsewhere and people follow. In 2015, we’re finding new music and new spaces to dance in faster than you can say “clubbing is dead”. 2014 was a tough time for venues across the country, particularly in London. Superclub Fabric was threatened with closure, drag haven Madame Jojo’s was shut down and the George Tavern clung on for survival. Cable closed in 2013 and Crucifix Lane, its neighbouring club, closed this year. And as much as these stories dominated our timelines in 2014, they show no signs of abating this year either. I feel for anyone whose livelihood is affected by a building closing down. Tony ‘Bossman’ Hassan at People’s is one man whose business has been made vulnerable by the council threatening to revoke his late night licence. Pauline Forster, who runs the George Tavern in Stepney, needs protecting from mob-like developers. But I disagree completely with the rhetoric that we’re facing a fight for cultural survival, or that clubland is dying: in the face of dire adversity, UK music is better than it’s ever been. The vast majority of clubs in London are not purpose-built for clubbing. Most are spaces given new leases of life after being left to fall into disuse by the previous owners. This cycle of rebirth isn’t just confined to London, either. Last week, it was announced that The Kazimier in Liverpool – for my money and sentiments, the best nightclub in this country – will be closing on January 1, 2016, having spent the best part of a decade as the city centre’s prime destination for music. I’ve spent years running around the balconies of The Kazimier, either playing or watching shows. It was taken over by a group of people who understand what it is to run a place like that. Beneath its rusting disco balls lay freedom and friendship, and even now, before it shuts its doors, my memories of individual nights disappear as quickly as the fog that rattles out of its cheap smoke machine. I know that the times I’ve spent there howling until sunrise have informed the person I am now. It is a home, decorated with the faces of people who I will never forget. In anticipation of being taken over by developers, the people who run The Kazimier have opted to view the move as an evolution rather than an end. They’ve already started breathing life into Liverpool’s forgotten docklands, one of the most interesting parts of the city, not just architecturally, but historically too. Currently desolate and forlorn, these areas will be regenerated and readjusted to create something else, something new. Hannah Bitowski is one half of Faux Queens, a Liverpool-based DJ duo formerly known as Brewksi Beat who play tracks with a female/queer/trans focus, often at 24 Kitchen St. While she admits the shutdown of clubs is unnerving, she believes that the process is also part of the struggle of fighting for and nurturing culture. It’s the liminality of the places we party in that make clubland what it is. The act of standing with strangers in a basement listening to machines and connecting with people through movement carries with it a distinct sense of uncertainty and risk. This is matched by knowing that things cannot and will not always be the same. Therein lies the thrill. Raving is about a moment, it’s about a present. The day after you might be coming down on some faraway sofa, or rambling through suburbia on a clunky bus. What we’re in love with today, we will not love tomorrow. This evolution of clubland relies on the preservation of the same juncture: the now. Buildings don’t drive music, people do. All your fuzzy memories of wonderful nights dancing to music you love on this stupid, godforsaken island will naturally feature some places that you hold dear, but it’s the bodies within these walls that are the true DNA of clubland – that man who keeps asking you for water, your best friend pleading with you to “stay right here, I’ll be back in a minute”, the Romanthony edit played at 3.30am that reminds you of heaven. For many of us, each night out is a flight from the dreaded certainties of real life; a precious respite from bland metropolises that look like Sim City games left on overnight. The political class, of course, holds no concern for the preservation of club culture. It’s a hierarchy that’s utterly (and feebly) subservient to faceless property developers. As such, music is one of our greatest cultural assets, adding £3.8 billion to the UK economy in 2013. The arts budget has been decimated, wrecking balls sent in, but we’re still killing it. 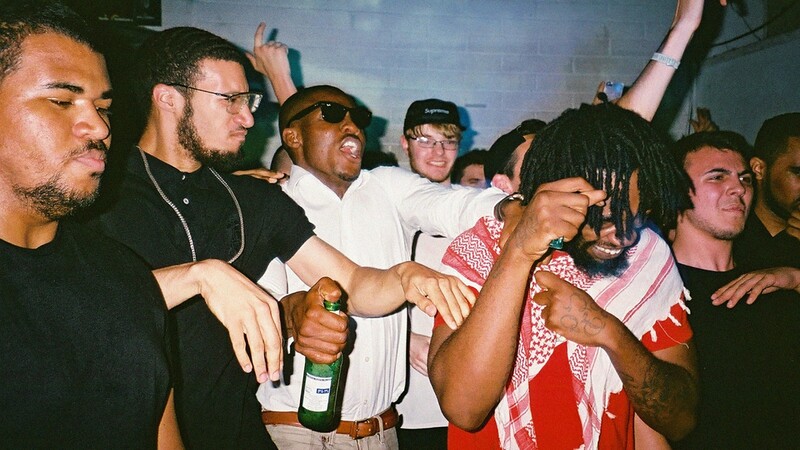 In spite of mass shutdowns and gentrification, UK music is healthier than ever been before. Check Kanye repping grime at the Brits, check incredible sets on NTS, Radar and Rinse at any time of day, check the Endless crew putting on raves across London, check Glasgow’s incredible slew of electronica producers getting hype on a global level, check Mr Mitch’s instrumental grime night Boxed, check Evian Christ’s ambitious and diverse Trance Party line-ups, check Just Jam actually being so scary to the authorities that the police called it off without a beat dropped, check the reggaeton nights going off on the banks of the Mersey, check Glasgow’s LuckyMe and Numbers labels taking their places as two of the most important underground labels in the world. Many people are nostalgic for places like Black Sheep, which fostered the growth of dubstep in Croydon and helped kids with cracked copies of Fruity Loops to reinvent the face of mainstream electronic music from their bedrooms. For better or worse, the legions of American EDM DJs selling out stadiums owe their success to people with a CR postcode. Plastic People in Shoreditch went on to act as the second incubatory bunker for a scene that influenced music on a global scale, but now that it’s closed, we should be wary of writing off UK nightlife with a wistful sigh and a heavy, “Things will never be the same again.” Because while Plastic People may have gone, it leaves behind a legacy as legitimate as the Haçienda’s, the journey of bass music from subby clubs to mainstream radio its Reebok Classic-shaped footprint. What’s more, nostalgia not only informs electronic music, but actively helps to shape its future: it is a celebrated tenet of dance music that you can look back to move on. Clubland will never die, because we’re human beings living inside IRL Gothams, crammed into airless subways, coughing on night buses. Consequently, we’re obsessed with these exhilarating gateways into hedonism, driven by those silently shared moments on punishingly loud dancefloors, those fleeting relationships formed at the jaws of uncertainty, soundtracked by alien music you’re hearing for the first time. These are incidents of unadulterated joy. They are moments in life. The underground and the mainstream exist in total co-dependency. London estate agents made £1.1 billion in fees last year, 23 per cent more than the year before. I can imagine the people who sell the houses and I can imagine the people who live in them. Matalan-suited men sell characterless homes to people who corner you at parties to tell you that Ocado has changed their lives. The inexplicable desire for architecturally lacklustre ‘luxury flats’ might be shutting down clubs across the UK, but there remains an army of people for whom music, dancing and big soundsystems remain life essentials. There are a lot of us, in fact, and we aren’t going to go away. I feel for the owners of the George Tavern, Cable and People’s, whose lives are affected by closure and redevelopment. I feel for anyone unjustly removed from a building by a dark, higher power. These personal stories should be told. There are horrific crimes against people and communities taking places across London – the demolition of the Heygate Estate, the corrupt, vicious, illegal dealings of property developers such as Swan Housing and the regeneration of the Aylesbury Estate in Walworth. These are the real horrors of inner city redevelopment. But in spite of cultural spots shutting down, UK nightlife is not dead. No doubt, we’re up against forces grown monstrously out of control in the relentless advance of gentrification. But in the end, it’s not the government that can protect our music and our nightlife – it’s you.